8X on the Park is in a new condo development in trendy Yaletown at 1111 Richards Street, Vancouver. Located just above Emery Barnes park, 8X on the park is currently under construction by Brenhill. It is slated for completion in Fall/Winter of 2019. 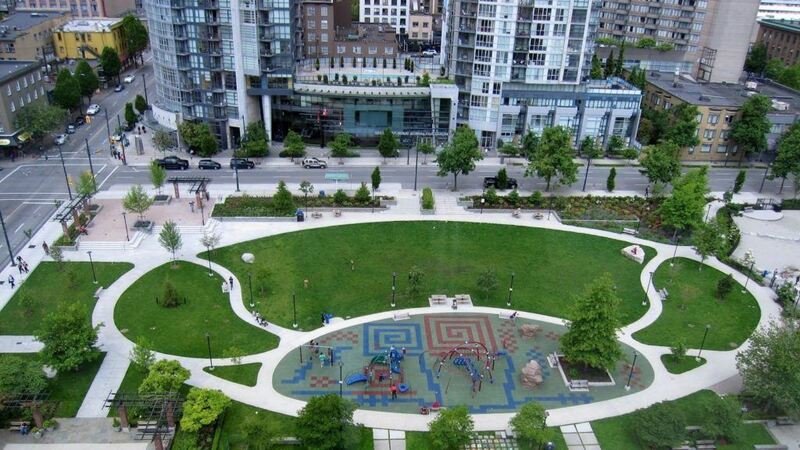 Emery Barnes park in Yaletown. It is being marketed by Rennie & Associates and is touted as modern luxury living. It will have 35 floors and 200 units, ranging from junior 1 bedrooms to 100 three bedroom units. Luxury finishings, high end appliances, air conditioning and all the convenience of Yaletown right at your door step. 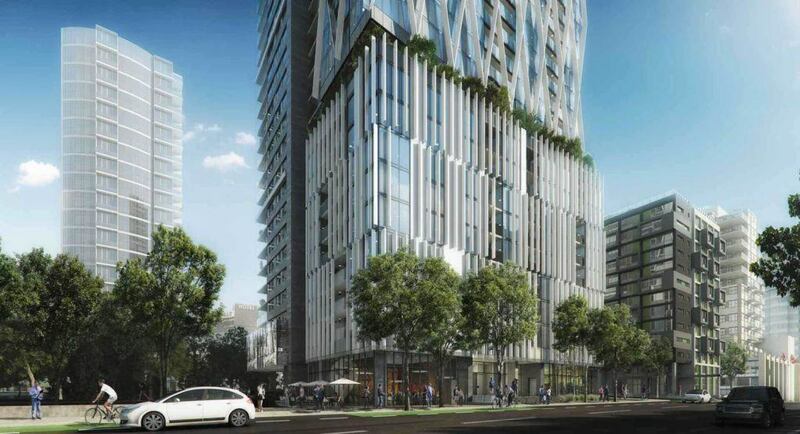 The first 11 floors are designated as rental only units, and will not be available for sale as per their agreement with the City of Vancouver. 8X on the Park will be luxury living at it’s finest. 8x on the Park will consist of a wide range of amenities, including, 24 hour security, party room, rooftop patio, BBQ area, visitor parking, concierge service, lounge and library, storage lockers, dog play area, dog grooming facility, bike storage, underground parking, and a massive 3800 square foot terrace. Sales start Tuesday May 17, 2016. For full list of prices click here.